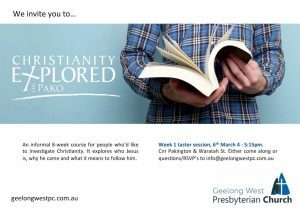 Christianity Explored is an informal, 8 week course for people who’d like to investigate Christianity. 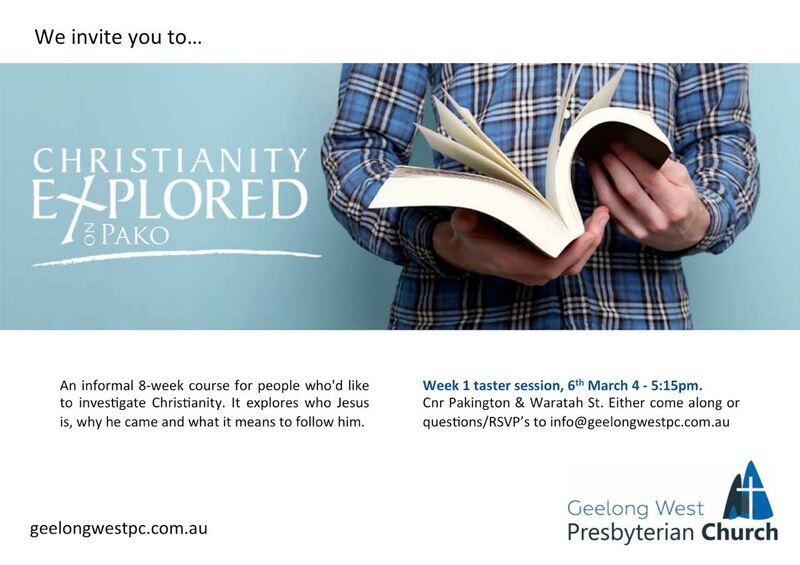 We’ll have a look at who Jesus is, why he came and what it means to follow him. All welcome!